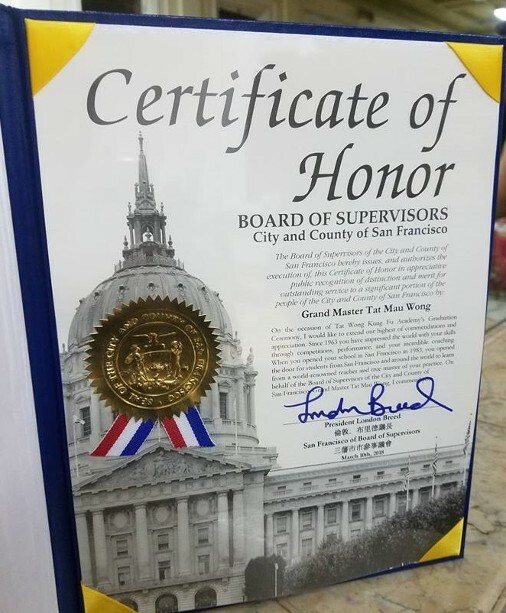 Public Recognition for ‘Distinction and Merit’ was awarded to Grand Master Wong from interim Mayor London Breed at our San Francisco Headquarters during our Black Belt Graduation on March 10, 2018. The certificate says: “…I would like to extend our highest commendation and appreciation. Since 1983 you have impressed the world with your skills through competitions, performance, and incredible coaching. When you opened your school in San Francisco in 1983, you opened the door to students from San Francisco and around the world to learn from a world renowned teacher and master of your practice.” Signed; President London Breed, Board of Supervisors of the City and County of San Francisco. 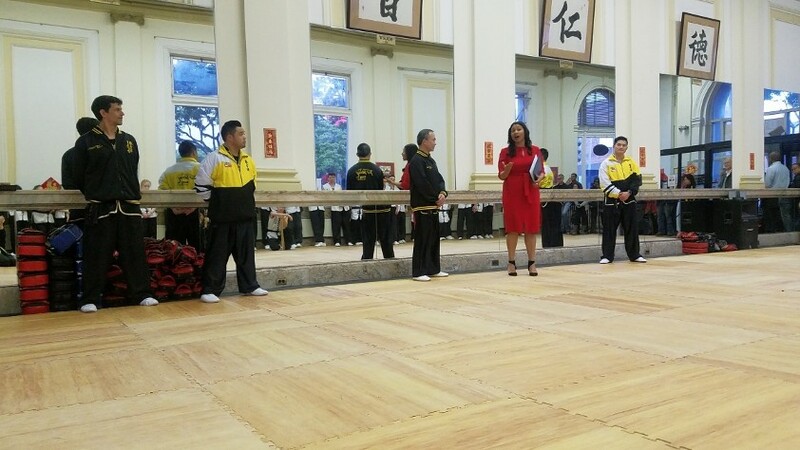 Congrats to Grand Master Wong and the Academy for receiving such a high honor of recognition.